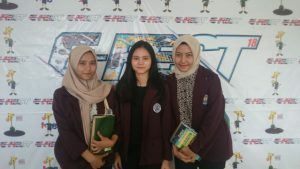 The 2018 English Festival was held by the Syarif Hidayatullah State Islamic University Jakarta on October 5, 2018. 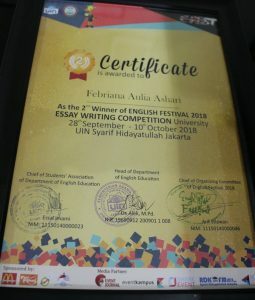 Budi Luhur Academy of Secretary’s student also participated in the event, Febriana Aulia Ashari (class of 2017), Parasvana Dwiyana Putri (class of 2017) and Raniah Febriana Angelica (class of 2017) in the Essay Writing and Speech Contest categories accompanied by Mr. Rizky Eka Prasetya, S. 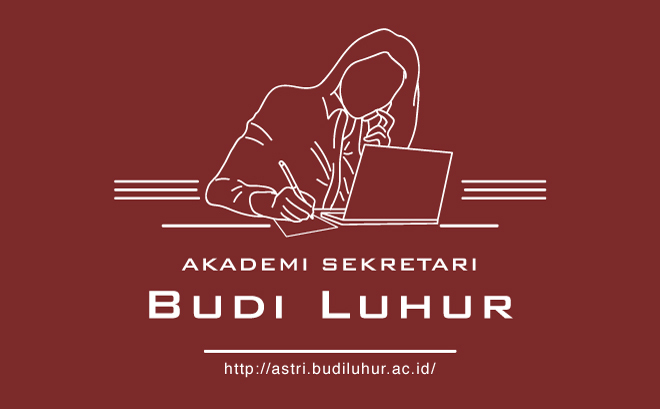 Hum., M.Hum as the Budi Luhur Academy of Secretary English Language Lecturer. 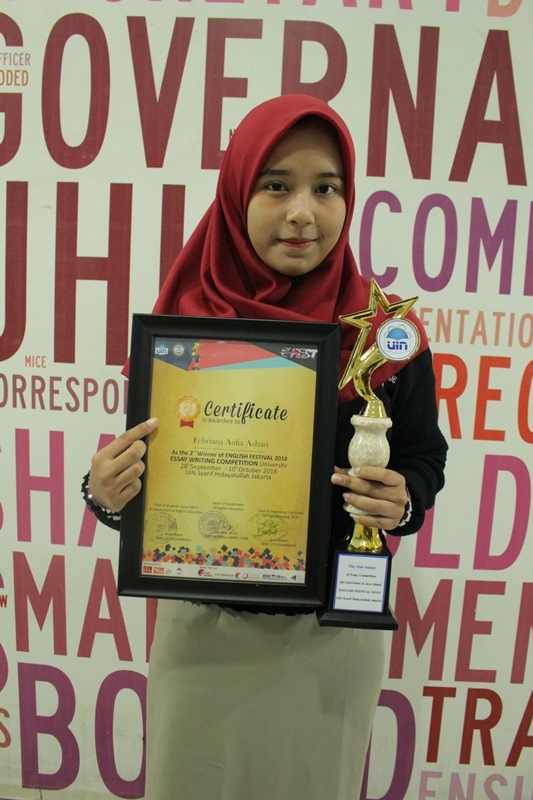 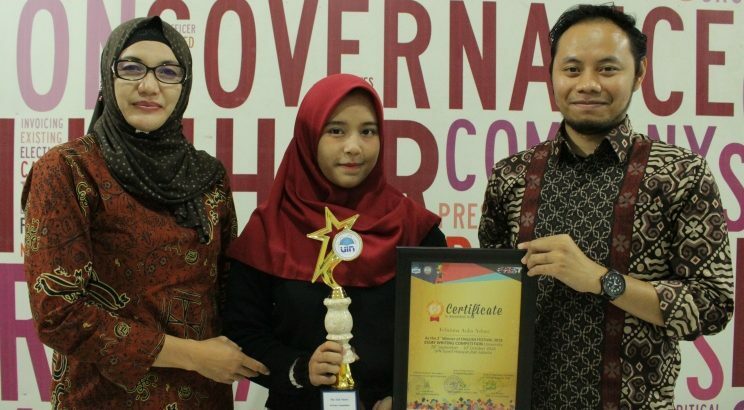 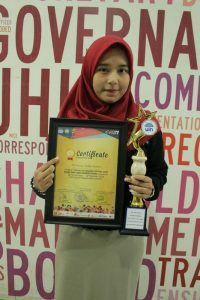 In the final result, Febriana Aulia Ashari was chosen as the 2nd winner in the Essay Writing category, defeating several Indonesian universities and 2 (two) other participants who came out as the finalists in the Essay Writing and Speech Contest categories. 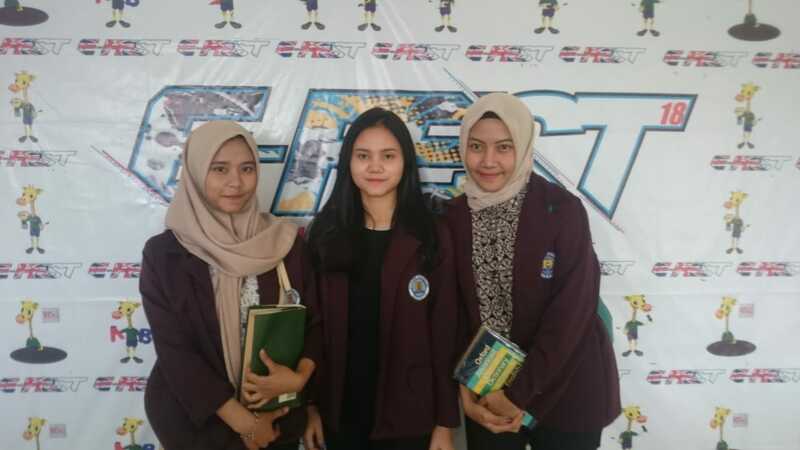 Congratulations to Febriana, Parasvana and Raniah for their success in achieving achievements in the 2018 English Festival National Competition, hopefully they will continue striving to excel at Budi Luhur Academy of Secretary.